MKTX | Does your company have a vision? 03 Feb Does your company have a vision? Success needs a vision. You can’t succeed without one. That’s a bold statement to make. Why so much emphasis on vision? A good one energizes your team and can establish you as a leader. With no vision, your purpose, and your team’s attention, can wander. Your competitors might create a vision for you. What do I mean by vision? 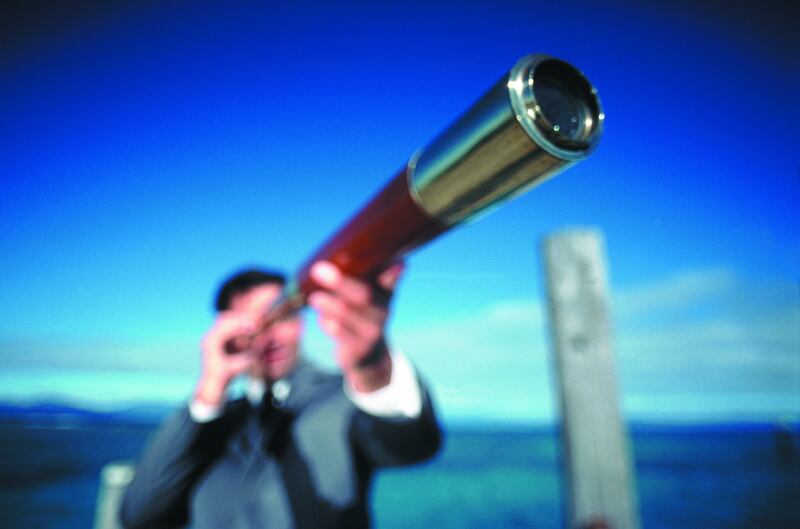 It’s your view of how the world could be with your product or service achieving its full potential. A cancer-free world. An unlimited supply of affordable products of a specific type. An end to a crisis that wastes resources. Your mission needs a vision to give it direction. Having a vision also helps with market targeting. You look for customers who share your vision. And communicating a compelling vision to your audiences can energize a marketing program. Sharing your vision may get your company more press coverage – if an editor shares your vision, he or she may give you coverage to help them make their (I.e., the editor’s) point. If your vision is controversial, he or she may give you a platform to share that, too. A vision guides decision–making, too, helping you choose which way keeps you on the path to fulfillment. What would the world lose if your company didn’t exist? Why does your best customer buy from you? What do your best employees like about your company? Discuss the answers with your team. It just might open your eyes to a vision statement that will give your company an energized sense of purpose. Leader of MKTX since its founding in 1998, Bob Patterson has over 30 years of experience in high-tech marketing. Bob received a bachelor’s degree in electrical engineering, a master’s degree in computer science from the University of Pennsylvania and an MBA from the Wharton School. He began his career at Intel Corporation where, during his 11 year tenure, he was part of the team of people instrumental in laying the foundations for Intel's success in the microprocessor market. Bob left Intel in 1987 and co-founded RadiSys Corporation, an Intel spin-off dedicated to exploiting the "Wintel" hardware/software standardization phenomenon in markets outside of desktop computing. As RadiSys' first VP of marketing and sales, Bob developed and executed the company's initial marketing plans and set up RadiSys' early sales channels. When Bob needs a break from cranking out strategies and content for our clients, he takes to the skies of the Northwest in his Cessna or his RV-12.